Kit of shiny Advent candles sized 15 cm and with a diameter of 8 cm. 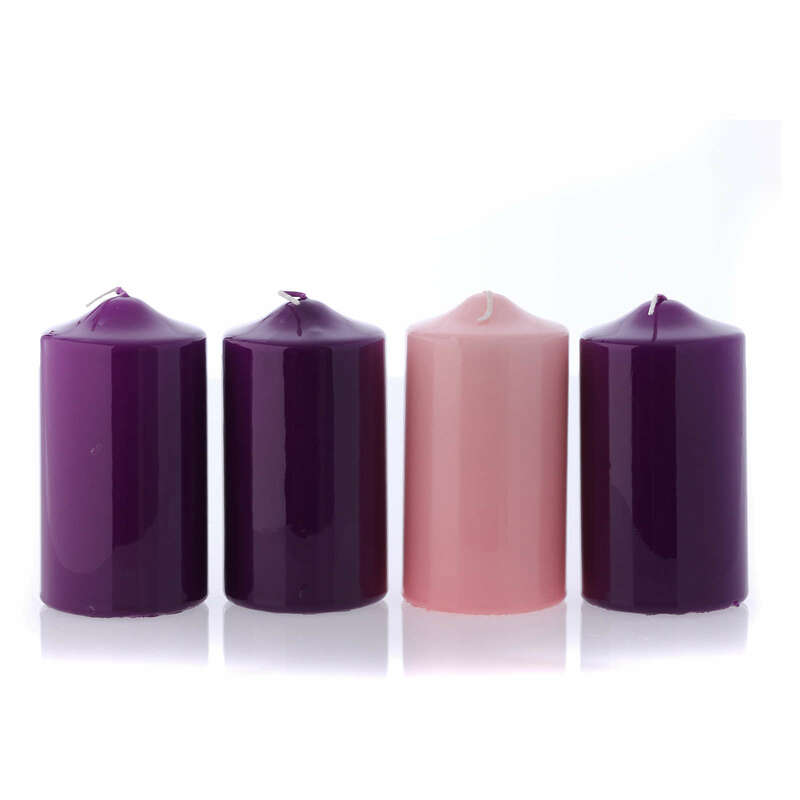 Kit of candles for the Advent wreath, particularly indicated for the liturgical functions. 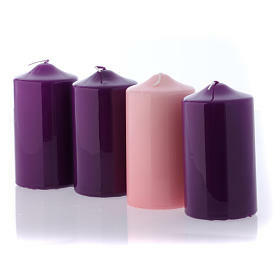 The kit includes 4 candles finished in shiny wax: 3 coloured in purple and one in pink.